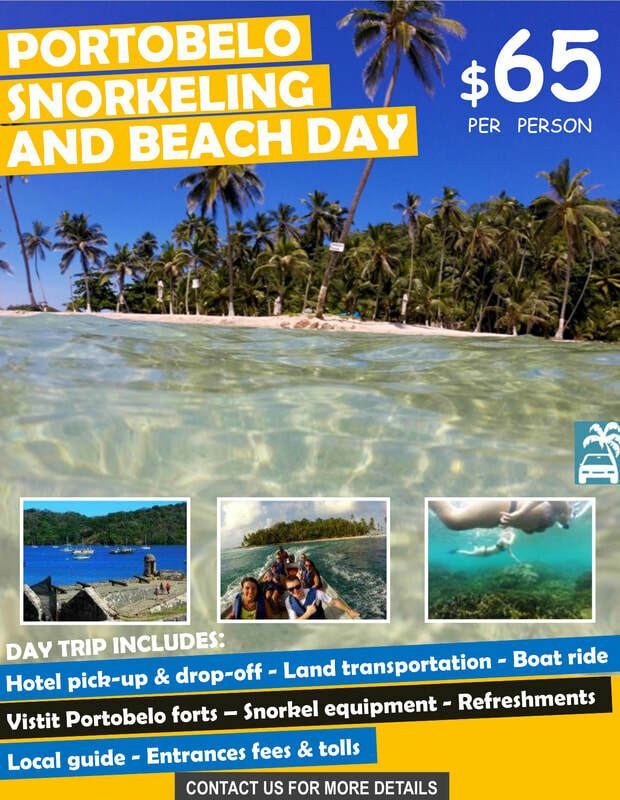 ​Soberania Mountain Bike Adventure, Bike Rental, Panama City Tour+Canal Tour, Embera Village, Monkey Islands&Gatun Lake,Portobelo&Beach Day. ​At GetOneBike (El Machico Hostel partner), it's no secret, we love mountain biking. You can not blame us for wanting to try more trails and new destinations. When we come across something so good, we just have to share it! With a selection of mountain bike trips so different you can be sure there is one you'll love too. 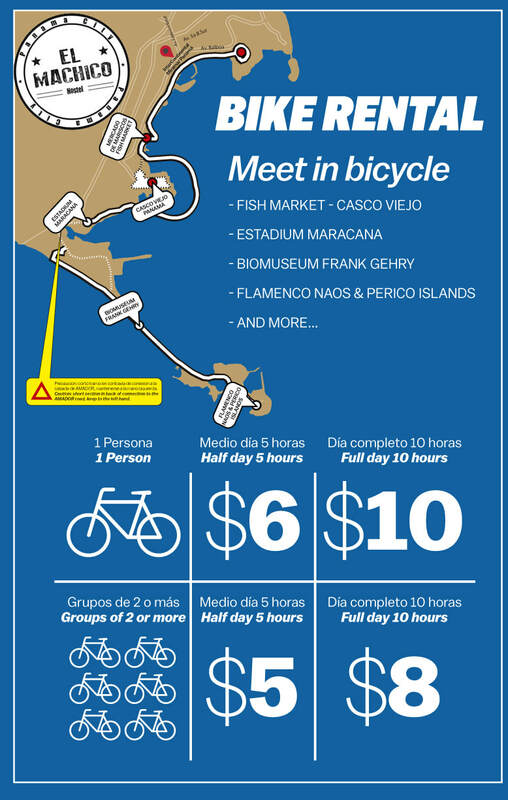 ​Or just at our Hostel you can rent your bike to ride Panama City in complete freedom. Join an exciting half-day eco journey along the Panama Canal and experience some of Panama's secret sights and sounds. You'll hop aboard a high-speed motorboat and marvel at the breathtaking flora and fauna surrounding Gatun Lake. 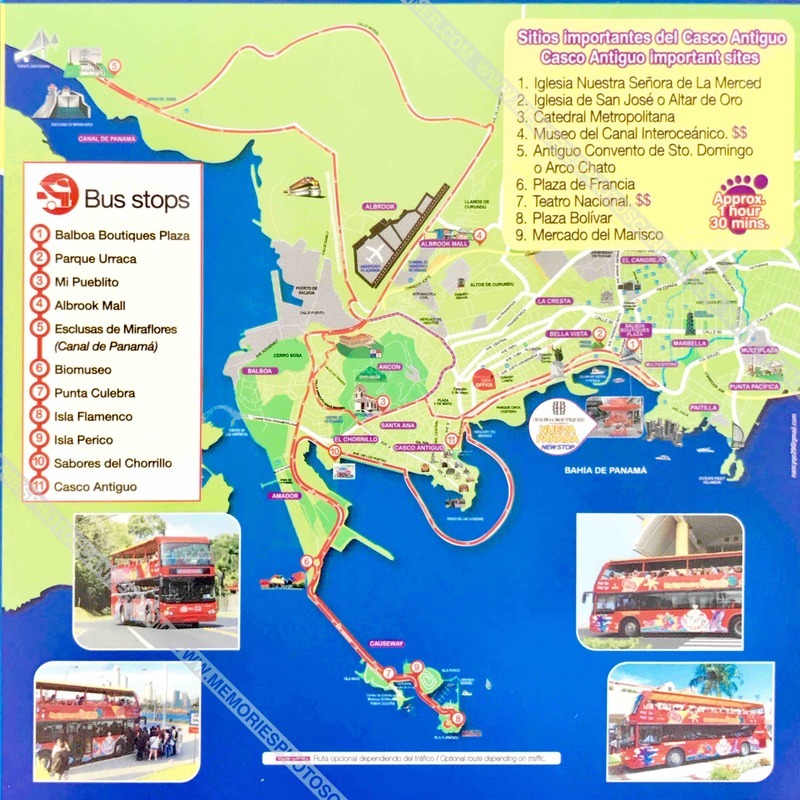 ​Enjoy stops at Monkey Island and Sounds of Silence Island! ​Looking for some cool things to do while you’re in town? ​El Machico Hostel is pleased to offer an action-packed day tour of Isla Mamey and the UNESCO heritage town of Portobelo just a couple of hours away! Enjoy a full day of sun, sand, crystal waters, and historical ruins, all set against the backdrop of Panama’s colourful Caribbean coast. 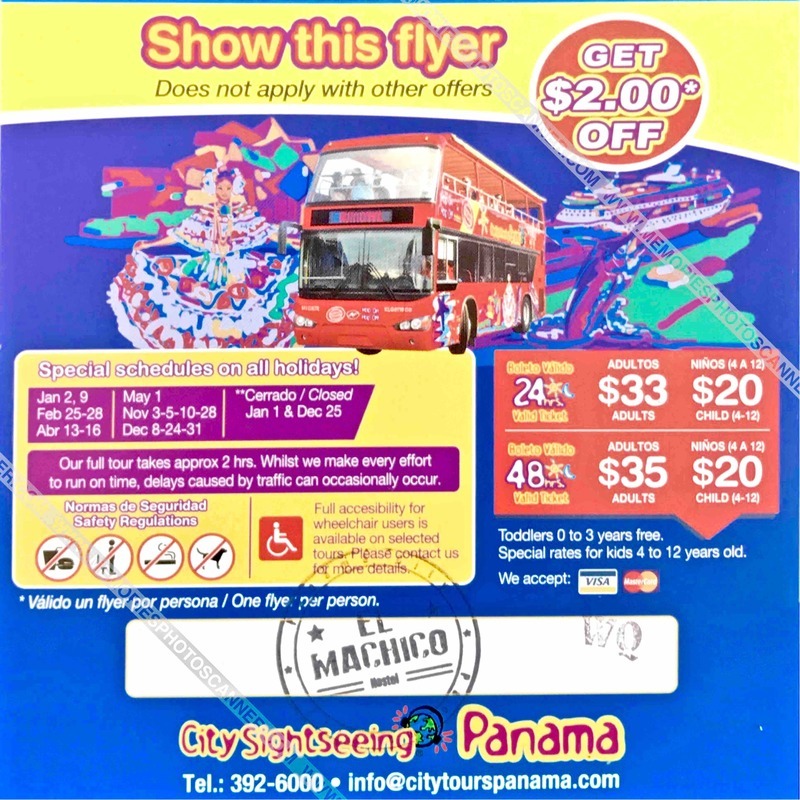 In partnership with City Sightseeing Panamá we offer the red double-decker bus service for the full city tour. Booking in Machico Hostel has a $ 2 discount on the rate. ​Ask for your discount coupon in the front desk.